Prepare to be inspired! With a diversified mix of businesses, downtown is ever growing and evolving. Historic businesses mingle with contemporary shops and new construction, a sign of opportunities just around the corner. Contact the Downtown Improvement District to get the tools you need to navigate the Downtown State College business development process, including the land development code, permitting requirements, and zoning information. Downtown State College offers an outstanding combination of strong demographics and excellent market factors all located in a desirable shopping and entertainment district. Add high frequency of usage, and Downtown State College is one of the best locations to place your business for maximum sales opportunity and has over 1 million square feet (54% Retail, 36% Office, 10% Other) of business space. Almost 60,000 students and faculty at Penn State University, border Downtown, and State College becomes the third largest city in Pennsylvania during a Penn State home football game. You’ll be doing business in good company. Downtown State College offers Centre County’s finest combination of retail, restaurant, and business establishments. Customers from throughout Centre County drive downtown to experience our independently owned retail shops and eclectic variety of eateries, each with its unique business mix and personality. Our mix of formula stores reflects some of the best brands in the marketplace. This strong retail economy generates favorable competitive sales per square foot. A diversified and educated employment base awaits you. Downtown State College is the hub of Centre County’s new economy and entrepreneurial companies. With over 15,000 employees downtown, the downtown enjoys the advantages of a built-in market. Employees are downtown regardless of the time of year or the weather conditions, making them an active consumer group during traditionally slow times or during inclement weather. Downtown State College is also adjacent to several residential neighborhoods. Many workers enjoy the convenience of living and working in the downtown area. Click on the logos below to find more details. Happy Valley LaunchBox is an innovation hub, a Penn State program for the whole community. The LaunchBox provides entrepreneurs support, resources, and facilities at no cost as an initiative to spur economic development, job creation, and student career success. New Leaf catalyzes connections & opportunities in the Centre Region to increase engagement and decrease brain drain. New Leaf creates events, awareness, and space for changemakers seeking to make the community more vibrant. Cowork alongside peers, access quality programming to meet new people and find new opportunities. Schlow Library can help you conduct research, start a new business, improve your current business, or learn new skills with a variety of onsite references and web based resources. 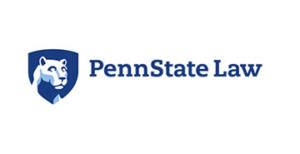 The Penn State Law Entrepreneur Assistance Clinic pairs students with entrepreneurs who need advice regarding the formation of legal entities, arrangements among owners, initial funding, and other organizational matters. 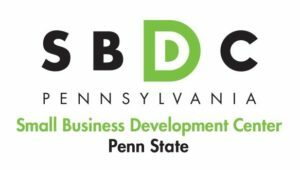 The Penn State Small Business Development Center provides one-on-one, confidential, no-cost business consulting and low-cost seminars to pre-venture, start-up, and existing small businesses located in Centre County. SCORE has been mentoring new and existing businesses – and non-profit organizations – for over 40 years and has a network of over 13,000 volunteers who donated their time to help entrepreneurs. CREN (Centre Region Entrepreneur Network) provides a place for entrepreneurs in central Pennsylvania to get together with their peers and discuss the success and difficulties of running a business. It is a place for entrepreneurs to support one another. Loopnet displays real estate listings in State College available for lease, including retail, office space, and more! The Ben Franklin Fund Technology PArtners provides early-stage, technology-based firms and established manufacturers with funding, business and technical expertise, and access to a network of innovative, expert resources. To promote the growth and development of business in Centre County, the CBICC offers a multitude of financing options. The CBICC/CDICC Loan Fund provides funding for projects that may not be eligible for traditional funding. 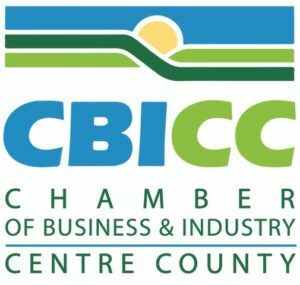 The Chamber of Business & Industry of Centre County (CBICC) is a membership organization comprised of businesses of all sizes and sectors. Events like Business After Hours, panel discussions, and annual signature events offer attendees networking and learning opportunities. CBICC Connect is the Chamber’s young professional group, which offers networking, panel discussion, and mentoring opportunities. State College Young Professionals is State College’s largest networking group for Young Professionals looking for Social, Sports, and Volunteering events. 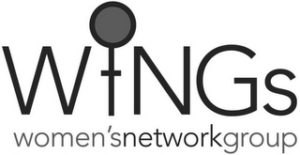 WiNGS (Women’s Network Group) is a haven for women entrepreneurs, committed to empowering members by providing opportunities to enhance their unique strengths. 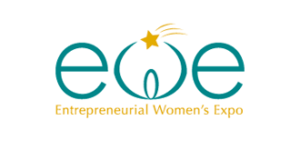 Entrepreneurial Women’s Expo (EWE) – a one-of-a-kind event bringing smart, dynamic, motivated women together! Central Pennsylvania Creative Professionals, also known as [CP2], is a non-profit membership organization that supports professionals across the entire marketing communications arena. Click the logo to learn more about licenses, permits, code, zoning, services, and other business owner concerns for businesses operating in the Borough of State College. Invent Penn State Venture & IP Conference – moving innovative ideas to market. Global Entrepreneurship Week (GEW) is the annual celebration of Penn State’s year-round commitment to innovation. The Central Pennsylvania Convention & Visitors Bureau (CPCVB) is a non-profit, membership organization with a mission to develop, promote, and engage in travel related activities and coordinate visitor services designed to enhance the economic activity and quality of life with the county and thereby contribute to the commonwealth. In addition to membership promotions, the CPCVB also offers annual grants.